Once you decide to install an automatic gate, you feel safe and secure in the knowledge that your home is protected. When something goes wrong with your gate, you just as quickly worry about your safety and security. Like any mechanical device, gates will need attention and Westcoast Gate is available 24/7 to make sure your family is protected. 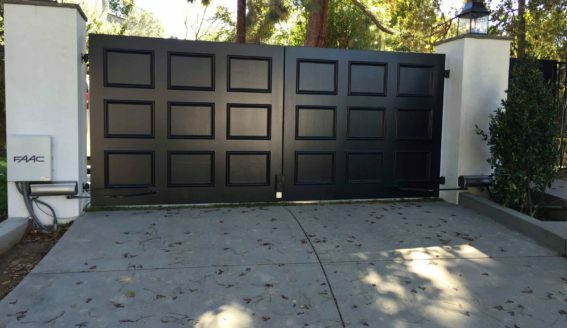 Since 1998 our team of seasoned technicians have been installing and repairing security gates around the Los Angeles area. Request repair service online. Or call us at (310) 445-5067 / (800) 736-0333 24/7 to speak with a live person. Jan 25, 2019, Michelle M.
Jan 21, 2019, Isaias G.
Jan 17, 2019, Cort W.
Thank you for jumping on tis so quickly this morning, I appreciate all your help. Jan 16, 2019, David B. Your technician was very helpful and he came back today and helped some more. Nov 6, 2018, Vik K.
All is well. We're happy with your service. Westcoast Gate has repaired thousands of gates and specializes in repairing automatic gate issues of all types. When you call Westcoast Gate, a live person will answer your call day or night. During normal business hours, a technician will be dispatched the same day to assess the problem. If it’s an emergency after our normal business hours, your call will be forwarded to a customer service representative who will help assess the issues and dispatch a technician if necessary. 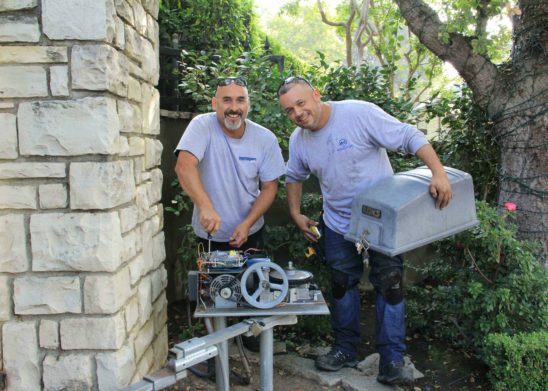 We are staffed with technicians that service the greater Los Angeles area. Unlike ordinary automatic gate repair companies, Westcoast Gate follows a methodical process when called in for a repair issue. From our experience in repairing thousands of gates each year we have learned that the visible operational issues are often caused by other component failures. Our technicians know the reason they have been sent to a client property and once there, they quickly evaluate the obvious problems. The technician will look at the damages and determine if repairing the faulty components is the right choice or, given the age of the system, are you better off replacing the faulty parts. Once that decision is made our technician will walk through each component of your automatic gate to make sure everything is functioning as it should. The technician will make adjustments to components not calibrated properly, check chains for proper lubrication, check to make sure sensors are aligned properly. If you have in-ground loops the technician will make sure they are working properly. Our work is backed by the best available warranty. Our technicians, many who have been with us for the last 10 to 15 years, go through an extensive training process allowing them to perform welding repairs on metal components and hinges, trace the electrical components of your gate as well as all the ancillary components. They are trained to make certain you have all the necessary safety features currently available to avoid injury to a pet or family member or damage to a vehicle. If there is no option other than replacing components in your automatic gate our techs. will select exactly what is needed for your specific gate. We won’t use an inexpensive generic part, we’ll marry any replacement parts with what matches your needs. When you require automatic gate repair services, you are better off selecting a company that takes a holistic approach to serving their customers. 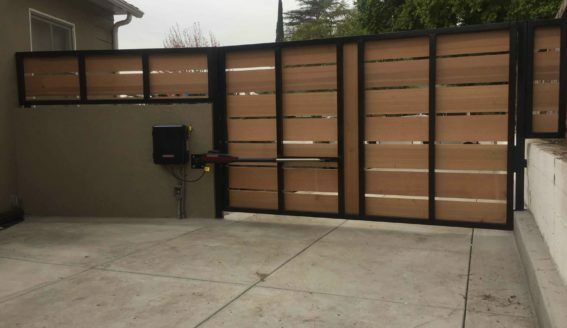 Unlike ordinary security gate companies, Westcoast Gate takes care of the obvious problems and then steps back to look at the entire system. Before our technicians leave they will go through every component of your automatic gate and make sure it is calibrated properly, safety devices are installed and working and moving parts greased for smooth operation. When our technicians leave, you can rest assured your property is secure and everything is operating safely.